ClicData will help you master the metrics of your operations, sales productivity, campaigns, ROI and KPI with actionable information that puts you ahead and accelerates your success. Under the hood of our intuitive, dynamic dashboards is a technological engine originally designed for massive, complex data systems. "I am SO thrilled with ClicData!" I am coming off of using a competitive service (idashboards) for the past 5-8 years) and I only wish I had found clicdata sooner. idashboards wanted us to sign a 2 year contract for more than 7x the price of clicdata which jumped to 14x the price the 2nd year. Even putting price aside, ClicData is SO MUCH BETTER in every way! The mid tier membership with ClicData is serving our needs perfectly with a database connection, 10 users and live link capabilities. We haven't embedded any dasboards yet, but nice to know the capability exists. The support is phenomenal and I got a free hour of training with a very knowledgeable support representative. I did that about a month into using the service so I had a bunch of questions gathered up and he answered them ALL. You can always contact support with minor issues too and they are super helpful. Occasionally there are little bugs, but those seem to get fixed quickly. For the price, there is nothing I would complain about! I looked at probably 30 other BI services when I was making a switch and couldn't be happier with my choice. I have experience in using a similar platform so it was a smooth transition and my team of "viewers" loves it. We didn't purchase an extensive support package, but I know ClicData offers that and given the experiences I've had with their support staff I'd say it's worth every penny to get you up and running. This may not be the best choice for extremely large companies who need on site training (not sure if they offer that?) but for small to medium sized companies in virtually any industry I don't think you'll find anything better. I also thought their white label option was very cool. I used to be a consultant and would have invested in that at the time if I had known about it. So many benefits! We are importing data from many different sources and building dashboards that can be used company wide for top level information or by specific teams for extremely detailed results. We've taken projects that used to get buried for lack of time and made them available at the click of a button. It is helping us to better understand our business in so many ways. "Great tool with great support"
I run a small business marketing automation agency and was looking for a solution that would allow me to show real-time reports to customers about their CRM (Infusionsoft in my case), marketing and sales data. ClicData let me do all of that since it pulled real-time report from the api tables for the tools I was using. Other tools out there forced me to know how to do actual programming to get any useful data, but Clicdata makes it fairly easy as long as you know some basics around data and formatting. - More pre-built report templates (I mostly had to create mine from scratch). - I'd like to see more connectors for small, online businesses. I didn't see any native connectors for apps like Stripe or Zapier, which are very common in the work I do. ClicData allows me to pull data from different sources and display it in anyway I wanted. It also has live filters, so I could create a dashboard and then give it to my clients and let them filter by their preferences (ie date, website, etc) and lets me get back to business without having to create multiple reports. The system is super user friendly and the customer support is Oh My God. They solve your doubts/issues so fast that it makes it easy for you to continue working on your project. 1. It does not let you have multiple windows side by side. Like if you open dashboard in window 1 and data in window 2, it logs out of window 1. 2. It hangs at times but thats ok.
Just use it and you'll love it. ITS AMAZING! Even if you are new to it, you will take a day to two max to get used tp it and then there is no turning back. Making dashboards similar to what CRM's have so that we can keep a track of our employees and their performance based on categories. "Versatile tool for creating a variety of dashboards"
It's built on a solid cloud-based foundation (MS Azure), and employs T-SQL syntax for the more serious programming. Changes are made immediately, so testing can be very interactive. Performance is generally good, and predictable. For mediocre SQL programmers (like me), it's like writing SELECT statements graphically. The transform operations are mostly intuitive, and sequenced to make it easy to maintain. I was especially impressed with the Pivot transform, which replicated a complicated Excel pivot table I had built as a prototype. The widgets cover most of the functions you might need to construct a dashboard. ClicData support is excellent and responsive. I always got a response within a day for any critical issues or questions. They encourage you to use their support channel, in part, I suspect to get some of the less intuitive functions working properly. Administrative functions are straightforward and flexible. Licenses can be upgraded incrementally, so the application grows with usage. I found the online documentation weak and sometimes even incorrect. It often reads like "English as a 2nd language". I think they steer you to their consultants to make up for the limited documentation. While the simple table widget is rich in options, the drilldown and pivot tables are rather limited in formatting choices. For example, if you need to word-wrap within a table cell, the simple table is often your only choice. Selecting the correct widget or function to store variables is tricky. Numeric values are limited to only a few widgets, so performing mathematical functions can be hazardous. I've had experience working with SalesForce, Microstrategy, and Intuit's QuickBase, but I found ClicData to be a more versatile tool for quickly creating professional-looking dashboards and reports in a short time. If you have a basic understanding of SQL, you will find this to be a very friendly way to design and implement a range of reports, KPIs and charts without resorting to programming. We used ClicData dashboards in a somewhat unorthodox way: we used "Indicators", or icons within tables to represent data, and the results looked great. The ability to integrate 3rd party HTML into dashboards was valuable (although ClicData correctly warns that response time may suffer). The ability to start small and release dashboards incrementally suited our needs very well. We also valued the responsive account team getting us quickly pointed in the right direction. "Great solution for any budget. Dashboards and widgets have extreme customization"
The flexibility of the product is key. Use of Azure for data storage and data connectivity to just about any type of data source is a big benefit. There are many widgets (charts and tables to use for dashboards). There is no limit to the number of dashboards. The solution gives flexibility for other users and secured login also. Each dashboard has its own live link that you can set to use forever or have it expire after a given set of time. I wish there was even more widgets for the dashboards. It would also be nice to be able to query the back-end data using SQL Studio. The other missing feature is the ability to copy pre-configured widgets and use them from dashboard to dashboard. I have researched many different products, from open sources to other BI solutions. This is the best I have found. Their customer support is terrific and very friendly. 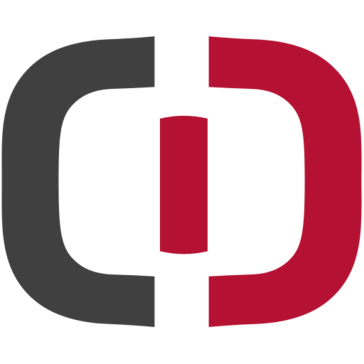 "Powerful, flexible, intuitive data dashboarding platform at an extremely affordable price"
ClicData allows for easy ingestion and merging of data sources, as well as transforming the data and refreshing on regular schedules from connected sources such as Dropbox. If you have questions about the best way to build out a dashboard or data source reach out to the support team. They are highly responsive and very helpful. We have a series of KPI dashboards that we use to monitor our business health and get actionable insights into how to improve our operations. Data: I primarily work with training and revenue data. The tables I have worked with have not exceeded 150,000 rows. ETL & visualization Tools: I've dabbled in Qlik Sense, PowerBI, Domo and SAP Lumera. Most of my experience is with ClicData and Tableau. - I like the fact that it is 100% Cloud/Browser based, so I can work on it from anywhere. - Data refreshes are SUPER easy. - Data visualization is easy to learn. - There are a lot of data transformation options and they are easy to learn. You can start off with the GUI options and ease your way into SQL queries. - The data merge and fusion capabilities are powerful and easy. For low to upper medium grade ETL and visualization I strongly suggest you take a look at ClicData. And if you don't have huge security concerns, i.e. no passwords or simple password protection. August 2017 - I wish their documentation was better. I wish they had better formula examples. The lack of a user community makes for a lot more trial & error. I wish the API's were easier to work with. This would make it easier to integrate with our other applications. IT"S FREE! GREAT for a quick & dirty Proof of Concept. ClicData provided us with an affordable, auto updating dashboard. We have saved 100's of FTE hours that would have been spent transforming and refreshing data. The Dashboard User Interface on the website is easy to navigate & not super complex. Which makes it easy to use from all skill levels. The Dashboards have easy plug in's and interfaces that make it simple to navigate and use. The stability and reliability of the entire dashboard system is not enterprise level. This makes it hard to rely on from a business perspective. The pricing structure for "refreshes per month" makes it challenging to utilize the product as a "real -time". I believe the refreshes per month should be one of 2 packages sold by the company. Providing multi-tier packages for customers looking for real-time dashboard data, without worrying about refreshes at a reasonable cost. ClicData servers do not seem to be reliable or beefy enough to support customer demand. Servers are not reliable for Up time. Original design services we used took weeks and weeks. Providing real time insight into Warehouse Statistics. We use the Dashboards on multiple TVs throughout our company, rotating a Dashboard every 3 minutes or so. Showing data or news from the company as well as Sales Numbers, Statistics, Website Data & Shipping Metrics. We then make staffing and resource decisions based off the numbers. "Powerful Tool for Analyzing Data"
There isn't much I haven't been able to accomplish in my reporting needs. The interface is slick and the features are plentiful. Take the time to dedicate to learning the features of the system... it's a little difficult to be in and out of it, without true focus. We are able to easily manage how well our campaigns are doing, and watching our sales revenue time over time, making appropriate decisions based on that information. "ClicData has helped us create a dashboard with all our important information in one place"
Our dashboard design is clean and easy to use. Having the majority of KPI's in once place is most helpful. I need to refresh the pages frequently in order for it to load correctly. Many times I have to reload the data a couple of times. I'm never fully confident that the first time I open one of the pages, that it will not have an error on it. It would be nice if the data could link directly from some of our systems so we could have real-time information. We have a dashboard for each area of our ministry that helps us communicate information internally and provides needed information to each area of our dashboard. "Great solution to develop dashboards fast"
As our clients are in South East Asia, I would prefer an option for data center to be located in South East Asia for better performance. No option available yet except for Enterprise plan. Clicdata allows me easily consolidate data from multiple data sources and give instant access to critical KPIs for my clients. Feature it provides are what we were looking for. You think and it's there. I completely love using ClicData for every data analysis I use. Be it internal use or for client. Best feature are the live links which can be embedded anywhere which helps in scaling the product and no limitations on dashboards helps in exploring more without any redo's. The documentation is weak so kind of need to ask to the support team. Also more flexibility is required if some feature needs to be added to the package like additional storage etc. Kindly explore this as it's more scalable and basic data visualization can be handled beautifully in this. "Incredibly easy to use, surprisingly powerful. Zero coding"
Clicdata is one of the best SaaS offerings in the market currently. It takes the very complex subject of BI and solves is incredibly elegantly and efficiently. The software has a very easy to use ETL layer and great dashboarding features. I really am a huge fan! really nothing I can think of. I have spent 10 min thinking about what I can write here, but it's a blank! the development pace at clicdata seems fast. Keep an eye out for the upgrade infos. We use it mostly for customer experience reporting and we integrate it into a SaaS offering. I love ClicData! The tool is easy to use, seamless, and they are always adding new features. Even better, their support is out of this world. I can't say enough about Elena and the effort she has put in to make sure our dashboards work properly. There are a few limitations, but nothing that is a showstopper for me. Work with their support early on to learn the system. They are a great resource and will help you out. ClicData enables us to connect elements of our Podio workspace with customized dashboards for our clients in an easy to access format. Both the product, which keeps growing and always getting more functionalities, and the support team are great to work with. It has a poor android native application. Increased agility in the decision-making process and concentrated the analysis in one place, removing the need for other tools. "ClicData user for past year"
We use ClicData for both internal and external business problems. We track KPIs using internal metrics from various data sources. We also connect data to provide our users access to data that helps their business. Easy to mash up disparate data sources into one dashboard. "World class Business Intelligence and data visualization cloud application "
We love Clicdata's interface and cloud based architecture. It has been ahead of any other application we've evaluated and have been extremely happy we selected them. They're support team is also very good. Nothing so far. We've been very pleased. I have not found a better cloud based analytics application. I highly recommend Clicdata. All sorts of analytic issues. Many retrieving data from multiple sources, joining it together and then reporting and visualizing it to make quicker more accurate decisions. The ability to combine e-commerce sales, google analytics, Google AdWords and social media in one place. "Great tool for customized dashboards, lacks authenticity "
Customizable on most levels, vast amount of widgets, data export functionality, google maps, data source integrations - most popular services available. Real-time project progress monitoring, financial KPI updates, health and safety stats, data visualization puts our company a step ahead. ClickData is easy to use and was one of the only application of this sort that allows a direct live connection to an MS Access database. The cost is a little high but overall decent value. Recommended as an excellent solution but be aware of a higher cost to some of its competitors. A live dashboard displaying data from our accounting system's SQL database. "Best Customer Service for Online Service"
"Very good experience, very good customer service"
The customer service they have. The platform is easy to use and friendly. They don´t have tutorials nor FAQs about how to create querries or calculations of your data. Display of information. User managment and process standarizations. Is your Big Data working for you? * We monitor all ClicData reviews to prevent fraudulent reviews and keep review quality high. We do not post reviews by company employees or direct competitors. Validated reviews require the user to submit a screenshot of the product containing their user ID, in order to verify a user is an actual user of the product. Hi there! Are you looking to implement a solution like ClicData?